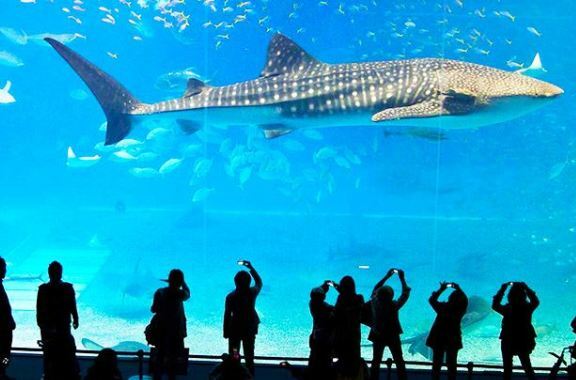 VietnamStay provides you a list of top attractions to visit in Bangkok. 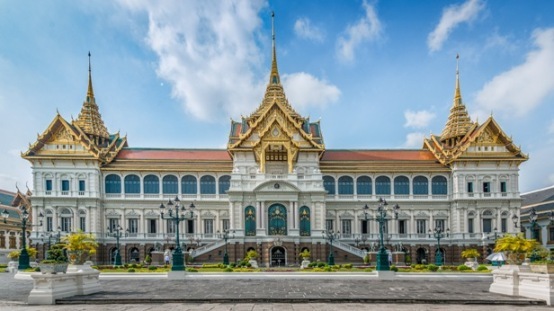 Grand Palace, one of the top tourist attractions in the whole of Thailand, has played an important role in the country’s history. Grand Palace was built in 1782 and has been home to the Kings since 1782. 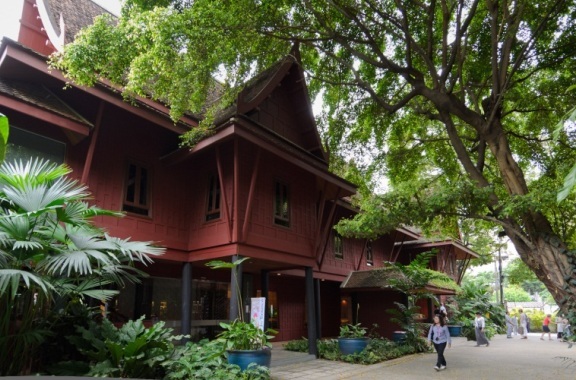 Although it isn’t the official residence of the present king, King Rama IX, it is still used for official events such as state functions and royal ceremonies throughout the year. 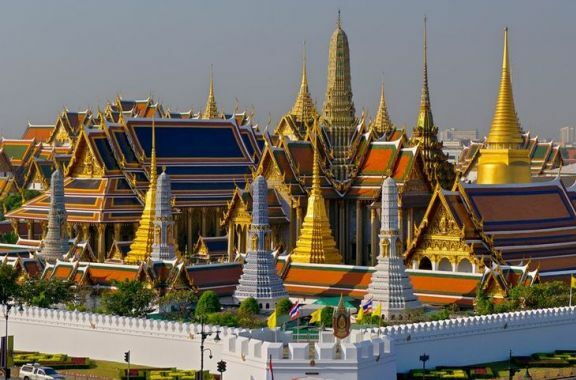 The Grand Palace attracts visitors with its beautiful architecture and intricate detail. 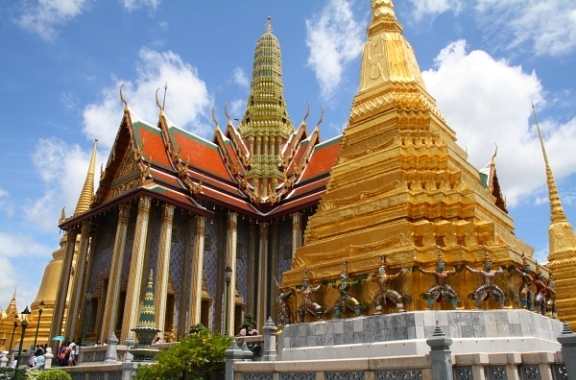 The major attraction is the Temple of Emerald Buddha, the residence of Thailand’s most sacred Buddhist sculpture: Phra Kaeo Morakot (the Emerald Buddha), which was carved from flawless green jade, situated amid gold-gilded sculptures and ornaments, and fresco paintings of the main ordination hall. If you want to get away from the over-crowded ferries, the tourist horde, and the overpriced souvenirs, you should take a tour to Bangkok Thonburi Khlongs. 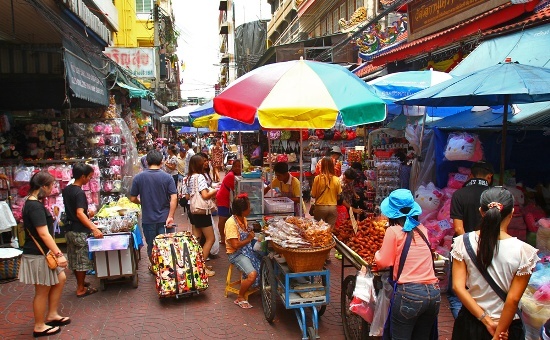 It is a best opportunity to get a real sense of how people in Bangkok used to live. 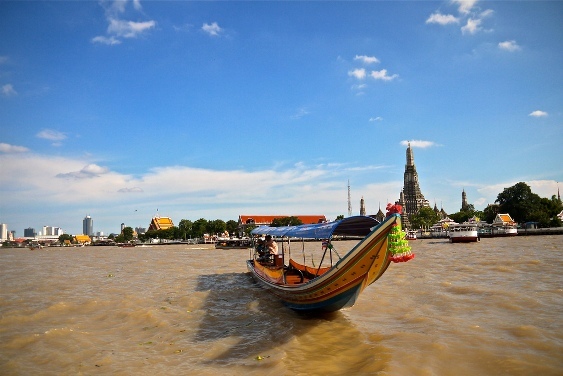 A long-tailed speedboat cruises you down the Chao Phraya River and canals (khlongs) of Thonburi. 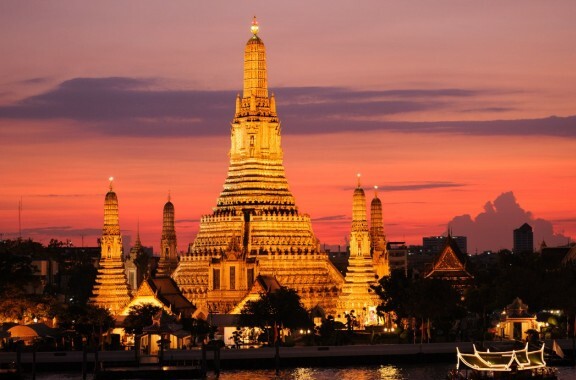 Immerse yourself in the picturesque riverside scenery, as you drift past stilted wooden homes, 'floating kitchens', mobile shops, colonial mansions and all kinds of colourful culture along the riverfront, before stopping at the enchanting Temple of Dawn (Wat Arun). 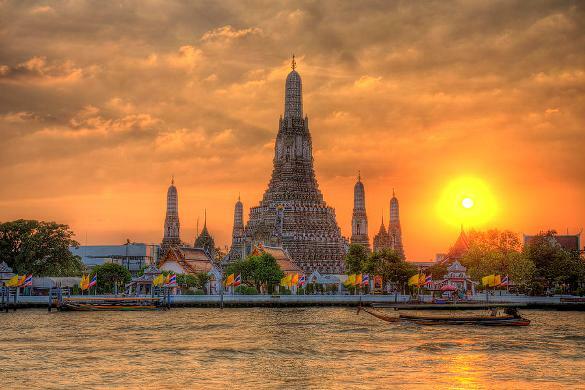 Wat Arun, locally known as Wat Chaeng, is situated on the west (Thonburi) bank of the Chao Phraya River. 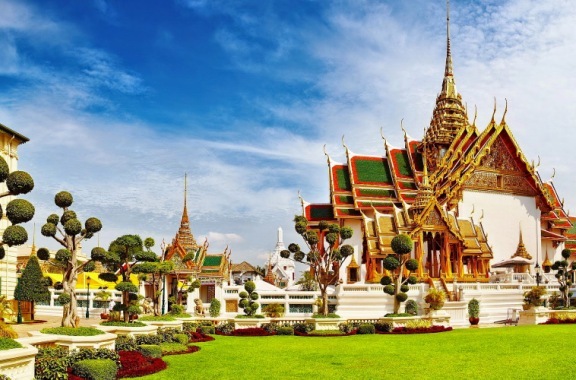 It is easily one of the most stunning temples in Bangkok, not only because of its riverside location, but also because the design is very different to the other temples you can visit in Bangkok. Wat Arun (or temple of the dawn) is partly made up of colourfully decorated spires and stands majestically over the water. A must do when in Bangkok is to venture down to Chinatown for food. At the old market, you will find some of the city's best tasting and most reasonably priced fare. 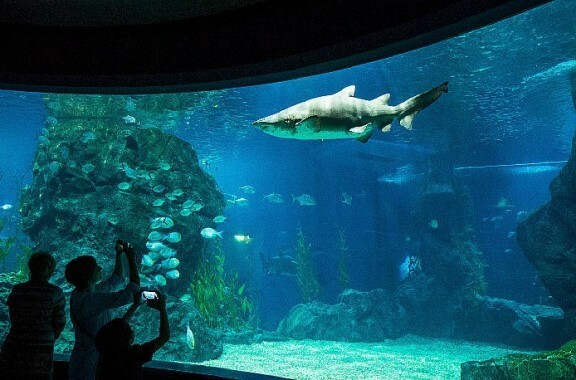 From the obscure (birds nest soup) to the ostentatious (Peking duck) to rare delicacies (roasted chestnuts), there will be something to enlighten your taste buds and provide a feast for the eyes. 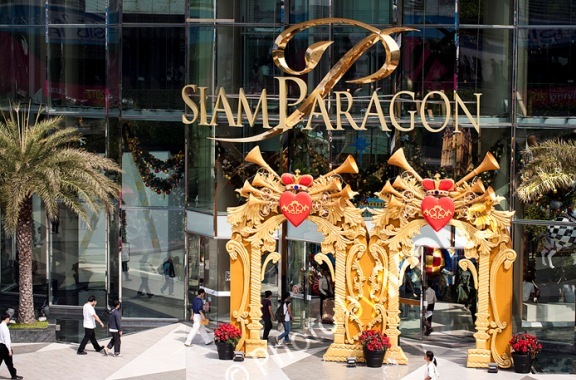 Siam Square, like the city in which it is located, is an area of contrast. In essence it is the hub of all things cool, an individual expression point where styles are both shaped and surface (and resurface). 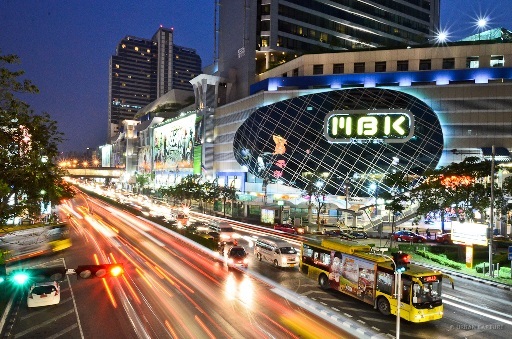 Siam also holds claim to being the most expensive place to rent land in Bangkok. It is to the City of Angels, what Bond Street is to London and Fifth Avenue to New York. Parallel to Khao San, Rambuttri gives you a taste of how Bangkok used to look before all the skyscrapers arrived. Leafy banyan trees shade the pavements and the vibe sways more towards local than backpacker, despite a number of them now choosing to stay here rather than on the famous street itself. 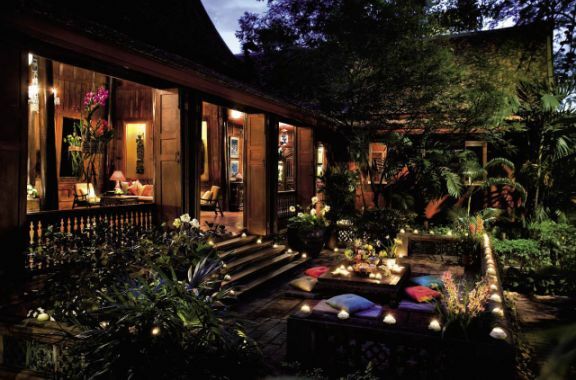 Gone are the days of chilling out in a hotel lounge after sunset. Hit the rooftop of the iconic State Tower’s Sirocco or the Banyan Tree’s Vertigo and Moon bar and claim your first-class ticket to the most amazing sunset vista Bangkok has to offer. From this height, the hustle and bustle of downtown feels like a distant hum, while the glittering skyline, a backdrop before which romance unfolds. 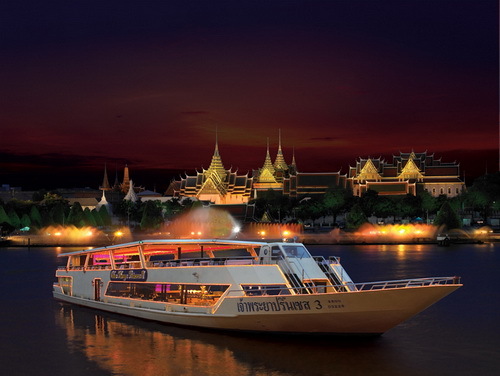 Feel the magic of Chao Phraya River at sunset. As the sky turns from tawny gold to twilight, life along the riverbanks seems to slow down, and its beauty takes on another dimension. 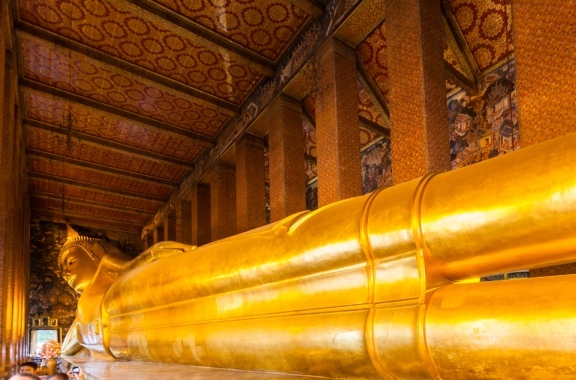 Embark on a dinner cruise in a restored teakwood boat or luxurious yacht and watch as the skyline unfolds along the Chao Phraya, from Wat Arun’s iconic silhouettesto Saphan Bhut’s strong industrial lines and the Grand Palace’s graceful curves. 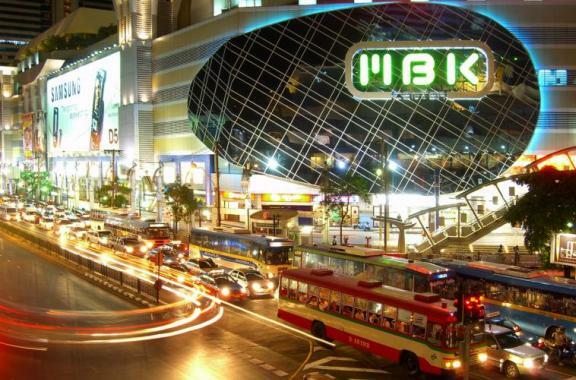 Bangkok’s electrifying nightlife scene has been rated as one of the best in the world. Much has changed since the early days of go-go bars and clubs. 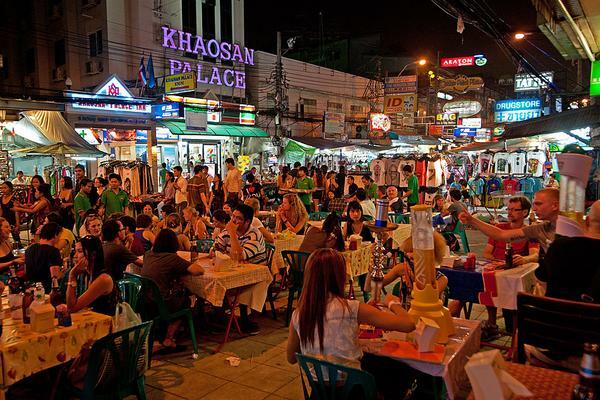 While Soi Cowboy, Patpong and Nana slowly fade into the background, Khao San, RCA, Sukhumvit 11 and Thonglor have emerged as the most-happening places after sundown, where international DJs rock the house with their latest mixes.